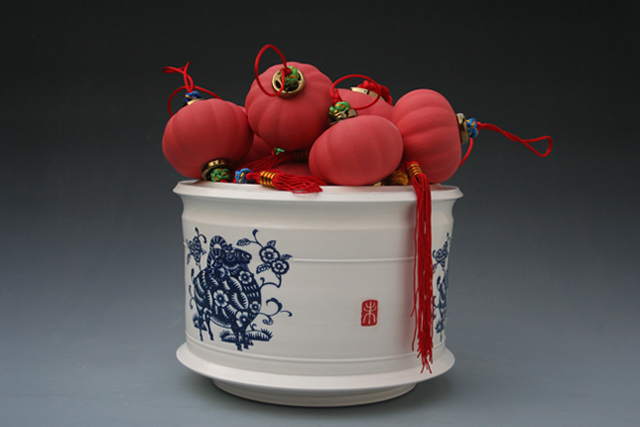 I create ceramic sculpture informed by my first generation Chinese American heritage. I use figure, cultural icons and situational predicaments to draw attention to the conflicts of balancing cultural burdens in a heterogeneous western society. Exposure to diversity and growing up in the open-minded region of Southern California contrasts with the reserved values and traditions practiced within the walls of my Chinese home. The troublesome situation connected to the figure stimulates inquiry into the choices I make to carry my cultural traditions specific to my ethnic heritage. I use the figure as a conduit for empathy, perseverance and strength while predicaments create tension and anxiety. This taproot of my individuality generates work that shares my commitment to foster the existence of my remarkable cultural heritage. 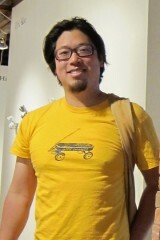 For more information on Eric Kao please click here.